Does Bailey’s Irish Cream need to be refrigerated? No. According to Baileys—note that there is no apostrophe in their name—their Irish cream liqueur does not need to be refrigerated. In fact, they guarantee their liqueur’s taste “for two years from the day it was made, opened or unopened, stored in the fridge or not when stored away from direct sunlight at a temperature range of 0–25 degrees centigrade.” That’s 32–77 Fahrenheit for you folks in the United States. Under normal conditions of storage Baileys has a shelf-life of 24 months. The alcohol acts as a natural preservative for the product. 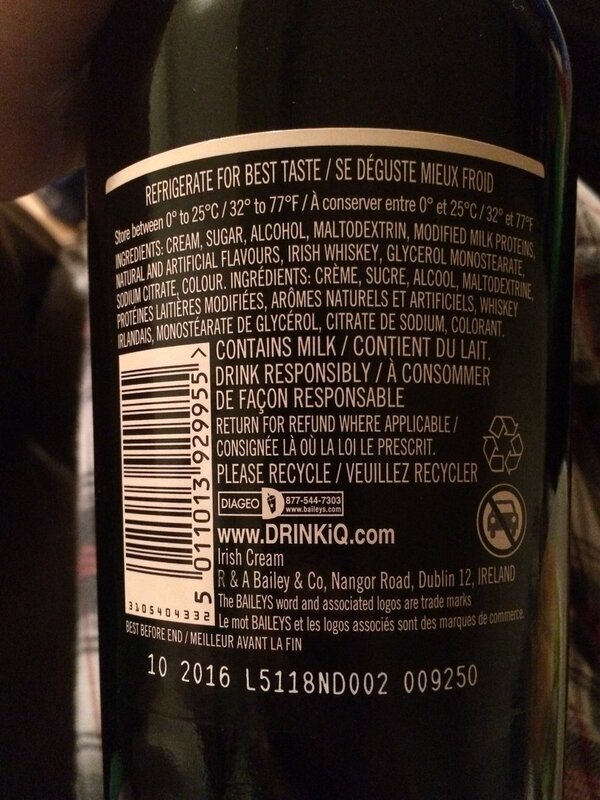 If you have any doubts about your bottle of Baileys, check the bottom left of the back label for the Best Taste Before date. If, for example, the date is 10 2016, that indicates a Best Taste Before date of October 2016 and a bottling date of October 2014 (24 months earlier).